Australian actress Mikaela Phillips has come a long way since YEM last spoke with her in 2014. She currently stars in the new Australian drama series Counter Play, in which she not only stars, but is also an executive producer! Counter Play is like Australia’s answer to a Gossip Girl – where wealth and luxury meets suspense, thriller, love and scandals/secrets – and fans are sure to love it. The popular drama is coming to Amazon Prime on Monday, August 27th for American audiences to enjoy. We spoke with Mikaela about the show, her role as producer and actress, and what’s ahead for the rising starlet. 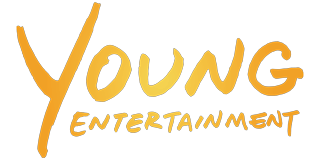 Young Entertainment Mag: Tell us about your new show, Counter Play. Mikaela Phillips: Gladly! Counter Play is a new mystery TV drama, filmed in Australia which centers around the handsome, scandalous and devious residents of the fictional and stately beachside town of ‘South Point’. Appearing idyllic and picturesque on the surface, South Point holds in its core many unlawful, corrupted and shocking scandals and lies which begin to surface when Jake Spector and Faith Morgan arrive back to town. A tangled web of mystery, love triangles and murder begins to unravel for the wealthy residents of this town and no one is safe from their secrets being exposed… Play or be Played in South Point! YEM: How does it feel to be on an Amazon Prime show? Mikaela: Very cool! Being an Aussie and seeing your show on a major worldwide platform like Amazon Prime is not only exciting but it’s also a major feat. That is, not many Australian productions make the cut for streaming services that big. It’s an extra cherry on top you could say, validating that the show you’ve created and put so much time, effort and passion into, has reached that success! It’s also so thrilling to know people anywhere can watch it! A majority of my followers on social media are outside of Australia and are so supportive and sweet to want to watch it and now…they can! YEM: Tell us about your character, Faith Morgan. Mikaela: Faith comes from a very noble and powerful family, who are also founders of the town. She’s a smart girl who loves freely and moves back to South Point with the show’s male protagonist, Jake Spector who is hellbent on revenge…unbeknown to Faith. She’s confident, caring, fashion forward and right in the middle of all the drama that unveils! We follow Faith through her ups and downs and heartbreak in this mysterious and scandalous town! YEM: Do you have anything in common with your character? Mikaela: I get asked this a lot haha! While Faith and I are obviously different in some ways, the things we have in common I’d say are; our independence, fashion forward style and maybe even our up and down dating life hahaha! YEM: You are also an executive producer of the series. What is it like to be an executive producer at such a young age? Mikaela: Yes, I am and gosh! It totally excites me! I’m definitely interested in continuing to produce and feel I’m only getting warmed up! The thrill of knowing there’s so much more I can do, I’m overwhelmed -in a good way- by the creative options and projects that lie ahead! So many people wait years to be able to have the opportunity to begin or transition into producing, so I definitely don’t take the experience and knowledge for granted. Do I believe going further as I want to work on larger scale productions as a Producer, my age may be looked down on by older professionals in my field? Maybe! However, I’m ready to prove I’m just as capable of the job as anyone else and that my passion, drive and experience is there, even if for such a young age. 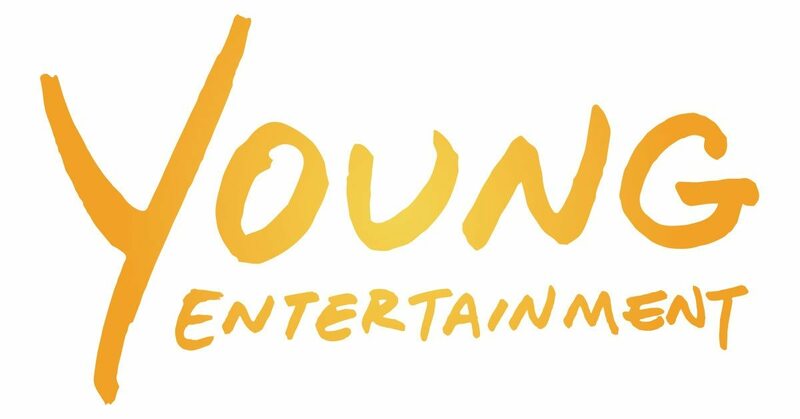 YEM: Is it challenging to juggle being an actress and executive producer? Mikaela: At times haha but for the most part, it was all about finding a rhythm and balance that worked! With previous years of experience acting, there was no issue there, however producing a TV show? That was a first! Whilst I had previous experience producing various entertainment segments and commercial content, it was still different compared to that of a TV show. However, I found my footing fairly early on in the production stages of the show and my responsibilities (long list as a producer haha) of what was required of me both as a producer and actress and juggled them both successfully and proudly for two seasons of filming! YEM: Do you have a favorite episode or favorite scene from the show? Mikaela: Wow a little tricky to choose! I mean, we’re talking two seasons of filming here haha. Hmmm… to make it easier, I’ll give you an answer to both questions but each from a different season! YEM: How about a favourite episode? Mikaela: Like I said, hard to choose haha but I’m going to say, Season 2’s finale episode! It is amazing!! I only just saw the final finished cut a few weeks ago in the editors suite and I was so excited and blown away with how it turned out and the cliffhanger that the season is left on! So much has led up to that point in the storyline and yet so many questions begin for Season 3, definitely a fav! YEM: Do you have any other projects in the works? Mikaela: I do! I work alongside my mum -who is also a writer and director- and we are currently completing a few scripts, for both TV and Feature Film and excited to already be working on the development of two other TV series in the US! Upcoming Season 3 of Counter Play is in the mix as well! Counter Play will be available to stream on Amazon Prime starting Monday!